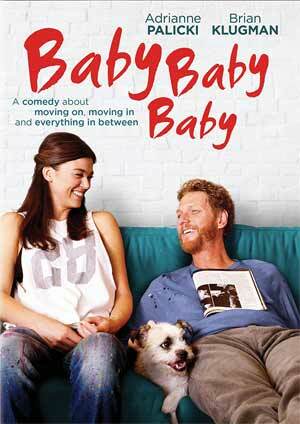 Baby Baby Baby is a cute, often fun, romantic comedy that excels more from a cast of cameos as well as Adrianne Palicki who shows some range the action realm from her time on Agents of SHIELD and John Wick. When Sydney (BRIAN KLUGMAN), a struggling actor, meets Sunny (ADRIANNE PALICKI), an artist, he thinks she might be “the one”. She’s funny, smart and gorgeous. She’s everything a guy like him never thought he would find. Everything is great until they move in together. Sydney’s jealousy and overactive imagination begin to get the better of him. Now he must either learn to get a grip or risk losing the best thing that ever happened to him. Baby Baby Baby is presented with a 16×9 enhanced 1.85 widescreen aspect ratio and comes with a Dolby Digital 5.1 track is okay considering this is mostly dialogue driven. Overall, Baby Baby Baby is a cute, often fun, romantic comedy that excels more from a cast of cameos as well as Adrianne Palicki who shows some range the action realm from her time on Agents of SHIELD and John Wick. The DVD released through Sony is thin with no features and so-so video and audio transfers; shame there wasn’t a commentary with writer/director/actor Brian Klugman.